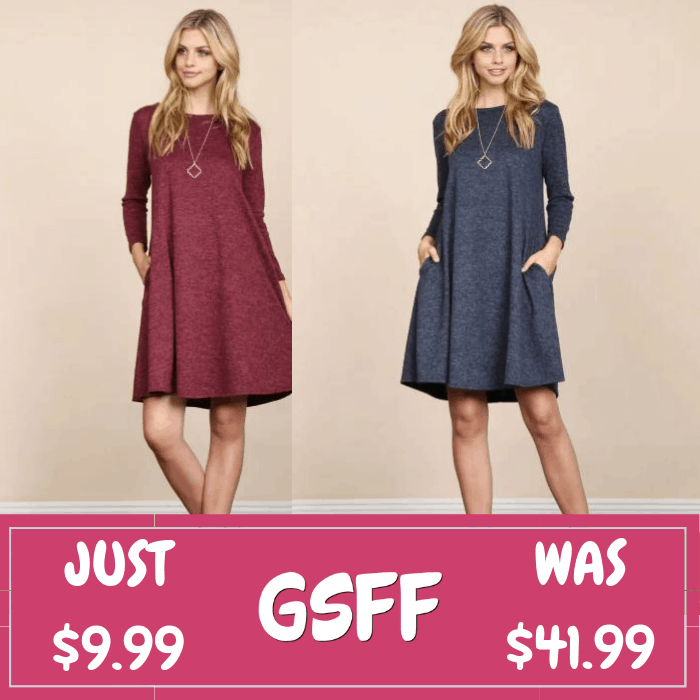 Hacci Pocket Dress Just $9.99! Down From $42! Shipped! You are here: Home / Great Deals / Hacci Pocket Dress Just $9.99! Down From $42! Shipped! Until February 4 only! Jane is offering this Hacci Pocket Dress for just $9.99 down from $41.99 PLUS FREE shipping! This best-selling pocket tunic dress is now available in two-tone hacci brushed fabric! Available in winter colors, featuring a round neckline, long sleeves, and a relaxed fit silhouette. It’s the perfect dress for everyday wear. Pair it along with leggings and booties/boots for extra flair!